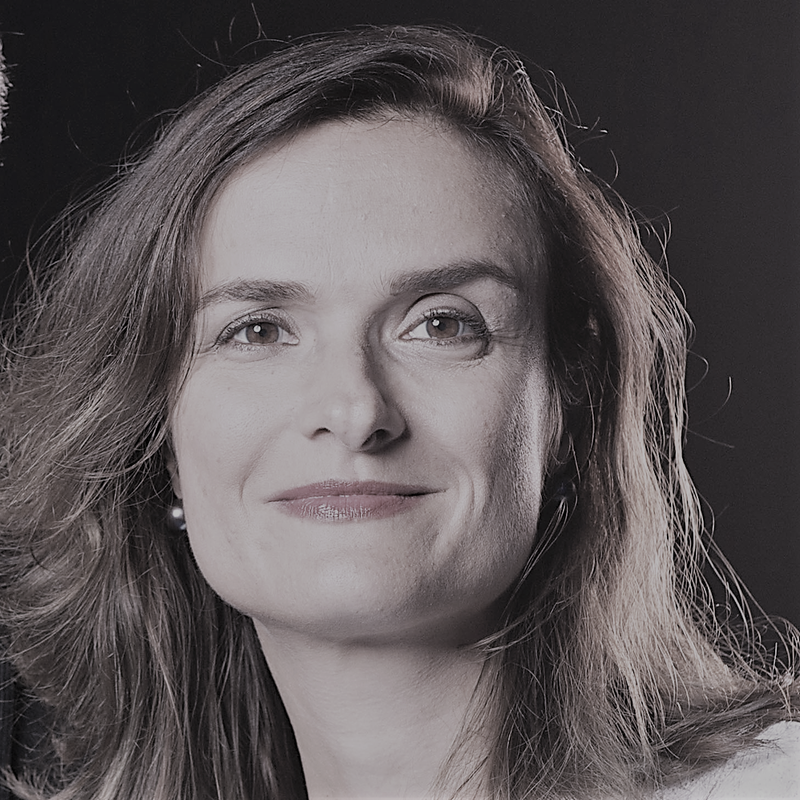 Valérie Ferret is the new Vice President of Learning Experiences (Education) at Dassault Systèmes, Number 1 in the top 100 most sustainable companies in the world. WIL had the pleasure to interview Valérie and discuss her leap from Legal Counsel to the French-American Chamber of Commerce, to working in the private sector. We also discussed the importance of remaining sustainable at heart, the need for more women in tech and the importance of networking inside and outside of the WIL community! What prompted your career change from legal counsel in a Law Firm to working as Public Affairs and Sustainability Manager at Dassault? After graduating from Law School, I worked as Legal Counsel from 2002-2006 before moving to the United States. As I realized that my degree in Law would not be that useful for an American market, I began networking and eventually became Director of the French-American Chamber of Commerce. In this role, I was responsible for advocating the French Business community to both the French and local government. Whilst working at the Chamber of Commerce, my knowledge of technology was limited. However, a presentation from Dassault Systèmes convinced me of the importance of bringing good to society through technology and I decided to make the change to the corporate world. So, to answer your question, my career change was driven by meeting new people, extending my horizons and being open to new opportunities! In January 2018, Dassault was named no1 in the top 100 most sustainable companies in the world by Corporate Knights. (See here) As Public Affairs & CSR Manager, how did you and the company implement the Dassault Systèmes’ vision of Corporate Social Responsibility? When I Joined Dassault Systèmes in 2008, as manager for Public Affairs & CSR, my mission was to expand and nurture the global influencer’s network to position the company as the best partner for sustainable innovation. It was a time when Dassault Systèmes had redefined its purpose to provide business and people with virtual universes to imagine sustainable innovations. Therefore the CSR mission was not one of a dedicated organization but the company purpose. This was a very visionary approach, and I was exciting about leading a cross-organization project. Achieving Number 1 ranking is a recognition that this approach to sustainability is successful, not only in terms of social and environmental impact but also of our overall performance as this ranking relies on the computation of many different indicators, including innovation, financial and fiscal ones. To achieve this high ranking, we have put into place a robust environmental process to assess and mitigate our environmental footprint, as well as strong policies on our social indicators such as the promotion of women in the company. Do you believe that the 4th industrial revolution is a sustainability revolution? Definitely! More precisely, we refer to this as the Industry Renaissance as it is about the total redefinition of the industry rather than the rebirth or optimization of the existing one. In other words, not only should the focus be on digitizing the industry but on inventing a whole set of solutions with new means of production for new categories of consumers. We call them experiences in Dassault Systèmes. For example, the Industry Renaissance will most likely bring a whole new mobility experience (car sharing, connected vehicles…) and the digital world allows for the new definition of models to be sustainable by heart. At Dassault Systèmes, we have a start-up accelerator and incubator, the 3DEXPERIENC Lab, which provides start-ups with the 3DEXPERIENCE platform, making it feasible for them to design their products and giving them the ability to grow as a company. We have great examples of start-ups which thought about their concept as sustainable innovations such as “L’increvable”. This company does not produce a washing machine, but a personalize washing experience with a machine built to last the longest possible time. It was built on the circular economy principles. There is also a generation effect with the willingness to shake up and disrupt the existing models. Two years on from the Paris agreement COP21, how successful do you believe it has been since its introduction? And has it unlocked new opportunities for business? There are two ways in which a sustainable model can emerge. The first is a pro regulation approach, such as the Paris agreement, which is a belief that we will bring the right constraints in order to foster innovation. The second approach is through a market approach, consumer-driven. Currently, countries have not reached the collective commitment they made, as we still sit between 3-5 degrees rise and some countries are backing out of the commitment. To bring all the countries back together in agreement is a long process. Therefore, I strongly believe that we should focus on providing people and innovators, with the right tools, skills, and mindset to bring disruptive experiences to the market which will be sustainable innovations. Eventually, we won’t need the Paris agreement, once we’ll have an innovation on renewable energy storage which will be competitive. We currently have a unique opportunity to define the models for the future, we need to put the right efforts on research and innovation for sustainability. with sustainability at the heart of the model. As a member of WIL for over 7 years now, how important do you believe is the promotion of women and overall diversity within a company? It is VERY important. All over the world the position of women is still low within society, yet we realize that no country can lead with only one half of society. It is not about promoting women for the sake of promoting women, it is about a society working together be it in an organization, enterprise, company, NGO’s with all talents to solve the global challenges ahead of us. Working for a Tech company, I know how much of a challenge it is to hire women. When we recruit from top Schools, there are less than 15% of women graduating making it more difficult to find the balance! and for this we need all of society, men and women. What I most appreciate as a member of WIL is the opportunity to meet and exchange with women who come from very different sectors, allowing us to learn from one another, go outside the boundaries and scope of which we are used to, and come up with new and innovative ideas! 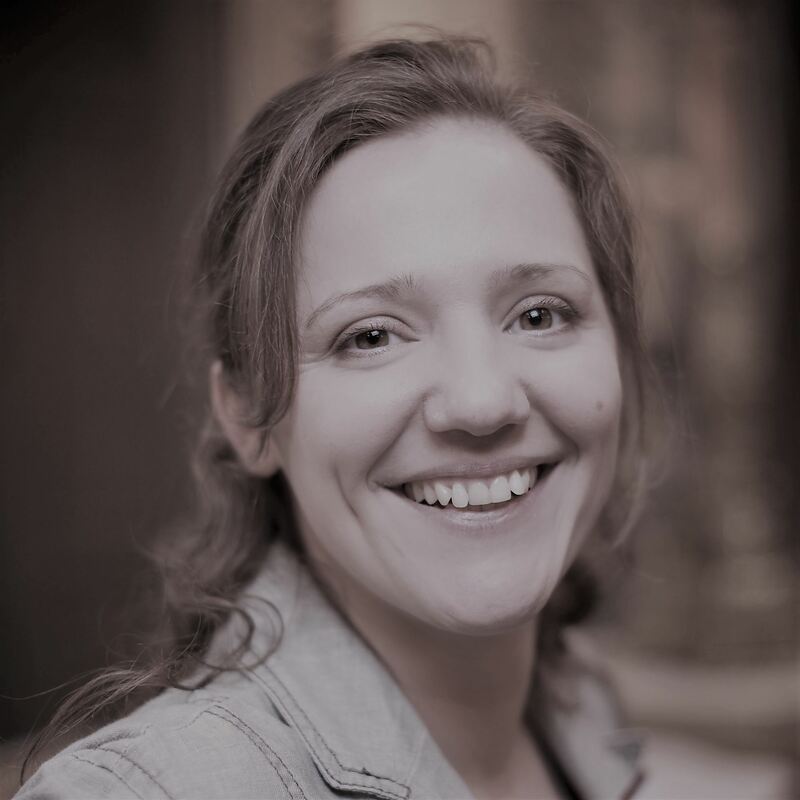 Valerie Ferret is VP of Learning Experience (Education) at Dassault Systèmes. Her mission is to connect education and industry on the 3DEXPERIENCE platform, to provide the right skills and right mindset for people in the Industry Renaissance. Valerie Ferret joined Dassault Systèmes in 2008, as Public Affairs and CSR manager. In 2012 she became Public Affairs and Sustainability Director. She was responsible for developing the global influencer network to promote the company vision to provide businesses and people with 3DEXPERIENCE universes to imagine sustainable innovations. Valerie started her career in France in 2002 as legal counsel. Two years later, she joined a fast-growing private postal services operator in Luxemburg to create the in-house legal function. In 2006, she moved to the US and became Executive Director of the French-American Chamber of Commerce in Boston. Valerie holds a law degree from University of Montpellier. She is married and proud mother of two children. 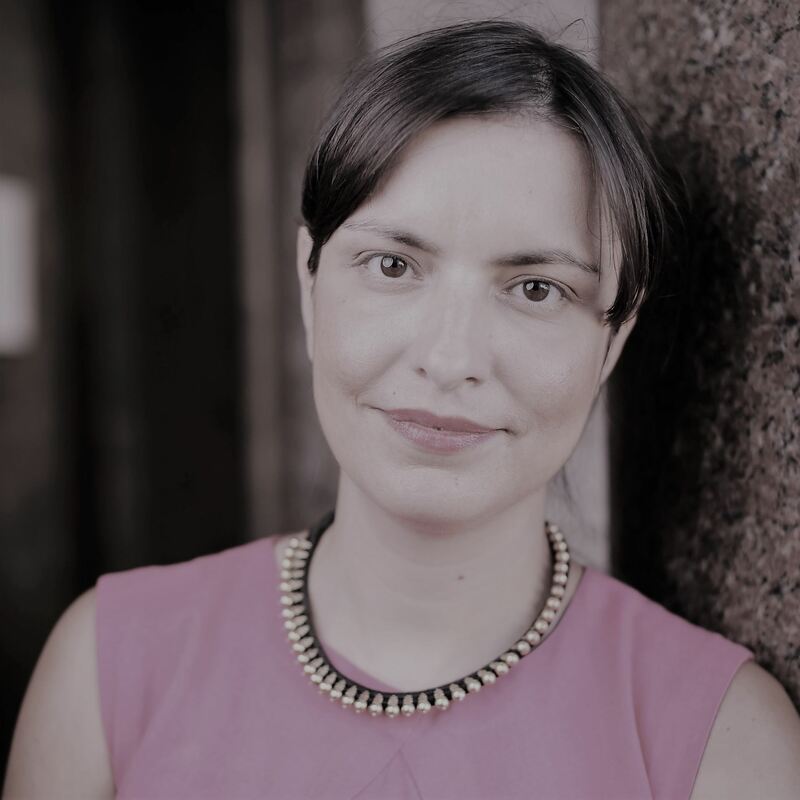 For this month’s interview, we have had the pleasure to meet WIL member Isabella Lenarduzzi, a committed feminist, entrepreneur, gender equality expert and the founder of the social enterprise JUMP, «Promoting gender equality, Advancing the economy». Since she was a child, Isabella has always wanted to make an impact in society, and after many years as a social entrepreneur, she decided to use her personal and professional experience to specifically help other women reach their full potential and autonomy. Our first interview with you was in 2009, just a few years after you created JUMP, which has become a leading international social enterprise. Could you tell us more about JUMP and how it has evolved over the years? Did its mission and activities change with the society’s developments with regards to gender equality? I created JUMP in 2006 in Brussels, which later opened in Paris and Lyon. Over the years, I realised that in order to close the gap between women and men, working with women is not enough: we also need to work with companies and with men. Corporate culture is indeed too often masculine, leading women to adapt to specific behaviours, values and ways of working. This is why men must understand that gender equality is not only a women's problem and must commit to also contribute to trigger change. Our headline thus went from "JUMP for active women” to "JUMP promoting gender equality, advancing the economy": by transforming the corporate culture in a more inclusive one, we can change the rules of the economy, and by changing the economy, we can then change the world. Before creating JUMP, you had a long career as a social entrepreneur. How did this will to change the world get started and why did you decide to work specifically on the issue of gender equality? Since I can remember, I have always wanted to change the world by bieingan activist or a political leader. At University, a colleague of mine who was already an entrepreneur asked me to launch a magazine for the campus. This initiative ended up being hugely successful and became a company of more than 50 employees, later sold to a big multinational. This experience led me to believe that also as an entrepreneur, I could have a positive impact on the world. I decided to work specifically on the issue of gender equality after reading a book by Paule Salomon, entitled "La Femme Solaire", which made me realize how powerful a woman could be if she combines her masculinity and femininity. Until then, I had only exploited my masculine side and tried to hide my feminine one, as I thought it was not needed to be considered as a leader, or even severely judged in the professional world. I decided to embrace my femininity entirely and to support other women in doing so and in reaching their full potential. Is this why you associate JUMP with the pink color, usually depicted as a “girly” colour? Exactly. I faced tremendous resistance when I chose pink to represent my company, especially from women, but I decided to pursue this decision because I strongly believe that women and men alike should embrace their femininity and that pink should thus be seen as a business colour like any other. Using pink is a statement that we no longer have to hide our femininity and adapt to the dominant leadership style and that on the contrary, we can be feminine and powerful at the same time! and adapt to the dominant leadership style! What do you think are the difficulties women face when creating their organisation? Most of the time, women are less likely to open a company, or an organisation compared to men. Women certainly want to thrive in what they can do best, but they are also financially risk-averse and want to have a good work-life balance. At the same time, self-employed women globally earn half of what men earn for the same job, but take charge of more than 70% of all unpaid work (domestic and family work). Being financially vulnerable, they are less likely to open their organisation and take such a risk that could jeopardise the balance of their personal life (meaning family, children...). I believe and strongly advocate that women and men are equally capable of founding their own organisation and succeed in doing so if they do not lower their professional aspiration and pursue a filed they are really passionate about and want to be unique. What are the key messages that you share with organisations that want to promote women in leadership roles and leverage female talent? One of our key messages is that by having better gender balance in decision making positions, companies will obtain better innovation strategies and then reach higher level of success in the market. Gender diversity is thus strategically crucial for companies! Another strong statement is that the way women are perceived in companies has to change. For example, when a woman asks for a pay raise, she is often seen as overly ambitious and, in some way, arrogant (“bossy”), whereas a man in the same situation is seen as a hard-working leader. Therefore, a substantial cultural shift in companies is needed so that women and men’s behaviours and actions stop from being perceived differently! Gender diversity is thus strategically crucial for companies! Where do you see JUMP heading to in the next five years? My objective is to push even further our mission so that more companies become fully inclusive. Spreading our mission would mean that we can impact the society in which we live even more and trigger a cultural shift. We are thus planning to broaden our horizons and open more offices around Europe, such as Germany, still bearing in mind that different approaches are needed because there are substantial cultural differences between countries and cities in the way women are perceived. One of the most debated topics at the moment in the tech industry and beyond, is the protection of personal data, in light of the vast technological developments. As a response to the rapidly-evolving digital environment and its associated risks, the European General Data Protection Regulation will enter into force in May 2018. This new EU regulation, designed to harmonize data privacy laws across Europe and to set a new standard for consumer rights, is not without posing challenges to many organizations across Europe striving to implement the appropriate level of compliance in their data management processes. To learn more about the implications of the GDPR and about the legal issues arising in the wake of new technologies, WIL had the pleasure to interview one of its Founding Board Members, Béatrice Delmas-Linel, who has recently contributed (inter alia with Thaima Samman, WIL President) to a publication meant to inform businesses regarding tools and methodology to reach compliance with the GDPR. Béatrice is the Managing Partner of the Paris Office of the international legal practice Osborne Clarke. In 2012, she was recognised as one of the leading IT lawyers in France by her peers and distinguished as Chevalier de l’Ordre National du Mérite, notably for her contribution to the digital economy. Béatrice is also Coordinator of a Master programme in IP and Digital Law at the HEAD – Hautes Études Appliquées du Droit in Paris. Technology tends to scare a lot of lawyers – obviously not you. What led you to gravitate, as a lawyer, towards Digital Technology? It was a combination of opportunity and personal inclination. In the early nineties, I happened to work for a law firm which was representing clients such as Apple and Microsoft. When the internet economy developed, I was intrigued by the debate at the time, especially on whether the internet was a ‘no-law-zone’ or not, what it meant for society and existing laws. I saw an exciting challenge in finding answers on how law could apply to the new technologies. Now 27 years later, technology is everywhere and its far more complex than back then, but I still see a challenge into bringing innovation back to the basic principles of law. The same reaction happens with each new technology and I am always eager to decrypt and understand the technology so as to be in a position to analyse how our existing laws do apply but also where any gap is that may require additional legislation. For instance GDPR reflects how personal data has become key in today's economy and requires enhanced protection. Artificial intelligence is becoming a key element of new technologies but raise core questions with respect to the ownership and protection of algorithms as well as liability and ethics. You have recently co-authored a publication to inform businesses regarding the compliance with the General Data Protection Regulation (GDPR), which aims to bring the laws regarding personal data protection in line with the realities of the Digital Age. Can you tell us more about it? This is a white paper, sponsored by three trade organizations (CIGREF, AFAI and TechinFrance), that is trying to inform businesses regarding the compliance with the GDPR and aims at helping businesses to be compliant with the new Regulation. As a lawyer, I believe that it is better to explain the opportunities this Regulation brings to our clients’ businesses, rather than letting companies being motivated only by the gola of avoiding the applicable fine for non-compliance. By implementing the required tools of the Regulation, clients will invest into the healthy long term management of data of their employees and customers, having in mind that data are today one of the most valuable assets for companies. The Regulation is a way for them to take control of their data, to show accountability and as such, to create trust among their employees and customers. I believe that the more digital economy is expanding, the more trust is becoming a valuable competitive differentiator in business. What potential does blockchain technology have from your point of view? Blockchain is a fascinating technology, because it can remove the need for transaction intermediaries, like banks. In addition, we can see many potential applications of blockchain that go way beyond just payments or cryptocurrencies. In fact, blockchain could revolutionize how we interact with intellectual property, capital markets, insurance, etc. However, the question becomes whether this technology will provide a sufficient level of trust, so that it could have the potential to eliminate such intermediaries. Now, blockchain may bring a new world to our society the way Internet did, but this type of technology requires huge amounts of energy across the world and as we become more and more dependent on such networks , we should ask ourselves how will we able to sustain the vast amount of energy that is required for new technologies. Could you explain briefly the difference between smart contracts as used in blockchain industry and traditional legal contracts? What are the possible legal issues of doing business with them? Will they enable to cut out the middleman and if so, do lawyers need to worry? Simply stated, the difference between smart contracts and traditional legal contracts is automation. Smart contracts are a form of automated contracts that use pre-defined rules to facilitate the exchange of nearly any good or service. In fact, we already use smart contracts in our daily lives. For example, when you want to park your car, you go to the parking meter, you insert money and you receive a parking ticket that gives you specific rights to use that parking space. You do not negotiate nor draft a contract. This is an example of a very basic form of smart contract, but the systems based on artificial intelligence and blockchain will now provide us with extremely customized offers. Smart contracts will evolve and will be able to process more complex transactions. The need for lawyers will not disappear, but they will need to adapt. Rather than a threat, it should be seen as an opportunity for lawyers to show their added value. Smart contracts mean lawyers will need to be smarter. As a technology lawyer, I have responsibility towards younger generation of lawyers to make them understand that what matters isn’t often what is written in the civil code but rather what is the role of law in society and how to question the existing law. If I look at a contract, I ask myself, why do certain parties want a contract, what is their interest? What is the issue at hand? I tell younger lawyers to ask their client more questions to better understand their needs and therefore to create terms that are truly adapted. You are a founding Board Member of WIL and initiator of WIL’s partnership with Osborne Clarke France. What prompted you to take an active part in this cause and could you share some of the best practices in your group with regard to promoting gender parity and woman leadership? The mission statement of WIL is very appealing to me – it is the opportunity to network outside your usual horizons – across countries, sectors and professions. As an entrepreneur and senior-level women I also feel that it is important to be active with leadership programme such as WIL’s Women Talent Pool programme so as to share my experience and give advice. At Osborne Clarke in Paris, we give special attention to diversity, gender diversity in particular as we think that parity is healthy: three out of our five founding partners and two senior partners are women! We also wish to encourage the next generation of women to not fear leadership and entrepreneurship, and within Osborne Clarke International we have launched various initiatives to ensure that female voices are being heard. “I never felt that being a women could be a handicap but neither an advantage. I felt different and I always believed that difference is an opportunity." Which advice would you give to women ? I never felt that being a women could be a handicap but neither an advantage. I felt different and I always believed that difference is an opportunity. However, women must work on making that difference more visible, in a positive and effective way. In my opinion, women often take it for granted that someone is going to acknowledge what they have worked on, which in reality is not the case. Therefore, my advice to women is always to make sure they spare at least ten percent of their professional time in order to give more visibility to their work. Doing a good job is not enough, one has to make sure it gets noticed. In French we call that "savoir faire et faire savoir", which can be translated by "know how, and make it known"! This year, WIL’s partner INSEAD, a top international business school, marks the 50th anniversary since the first woman was admitted to its MBA programme. The timing provides us with a great opportunity to discuss with our Board Member Nida Januskis, Associate Dean of Advancement about how INSEAD is promoting career advancement among women, notably through its partnership with WIL, and learn about her own experience of combining a career with a family life. And as it is quite rare to meet an American and Lithuanian living in France, we also used this occasion to learn more about Nida’s origins and her views on preserving one’s language and culture! This year, INSEAD celebrates 50 years as one of the first business schools in the world that admitted women to its MBA programme. However today, only 30% of all applicants are women. What do you think is the reason for this number of women who are interested in the programme, and what can be done to increase their participation? There are several reasons why fewer women are applying to the MBA programme. The first is that the average applicant age at INSEAD is higher compared to our peer schools. The second is that INSEAD is a global business school, which means that we have women applicants from all over the world. Some countries are well-represented by women, such as the US and China, with more than 40% participation rates. However, we would like more representation from Central and Southern Europe, and we will be focusing on growing these numbers. Finally, as we have a global pool of women applicants, their financial challenges are more complex. By increasing our scholarship offerings, we hope to better facilitate their access to INSEAD. It is our aim to increase the percentage of women students in our MBA programme to 40% overall in the next five years. We have taken a number of steps to achieve this ambitious goal. For example, we have started a targeted campaign called Limitless to attract more women applicants. The campaign highlights our alumnae by featuring their stories, which we hope will inspire other women to join us. We also plan to expand the applicant pool by targeting younger women and building referral programmes. During the application process at INSEAD, the applicant is always interviewed by two of our Alumni. In order to avoid biases, we are making sure that in the case of a woman applicant, she is always interviewed by at least one woman, which was not the case in the past. INSEAD has chosen to partner with WIL and also offers a customized Woman Global Leaders Programme. Can you tell us why? This year, INSEAD celebrates the 50th anniversary since women were first admitted to our MBA programme. We realize that partnerships with organizations like WIL, and in particular, WIL’s Women Talent Pool programme, help to feed our pipeline. This partnership is very important to INSEAD and is very much aligned with our mission and values. INSEAD also offers a Women Leaders Programme to executives. The programme addresses the challenges women face when progressing into senior leadership positions. It is specifically designed for women with 15 years, or more, of professional experience. You are a great example that taking maternity leave is not an obstacle to a career advancement for professional women. You were working for Harvard Business School (HBS) as an Associate Director for External Relations when you moved to Paris and decided to stay at home with your children for almost three years. What led you to make this decision, and did you disconnect entirely from your professional life during that period? In addition, what was the biggest challenge you encountered upon your return? I was working for HBS in Boston for almost 6 years when my husband was transferred to Paris. Although I have never thought I would stay at home with my children, I realized that this was a good opportunity for me to learn French and become part of the community. At the time, I was doing pro-bono work, such as fundraising for schools and nonprofits. Looking back, I think it was the best decision I could have made at the time. Nevertheless, after three years at home, I wanted to return to the workforce, knowing that I had a lot of value to bring. Maternity leave for me was not an obstacle, and I was lucky enough that my previous employer Harvard Business School was entering their second capital campaign and recruited me back to work for them remotely. The challenges were mostly logistical and related to childcare. However, at the time, I was fortunate that my office was within walking distance of where we lived so it ended up being an easy transition. Now, I enjoy being a working mom, and I also feel that I am being a better mom because of it. As already mentioned, upon your return, you started working for HBS International Alumni Development Team, where you were raising private funds from former students. When it comes to asking for money, Europeans are very different from Americans – was this an obstacle? How did this experience benefit you once you joined INSEAD as an Executive Director for Development in 2016? The culture of philanthropy in Europe is very different from that of the US, where one is exposed to fundraising at an early age, often through a sports team, your school, or through your church. By the time one attends University in the US, fundraising has become an accepted, and even welcomed, way to elevate institutions one cares most deeply about. In a strong sense, philanthropy is seen as an investment in the self, as to improve the institutions that have launched our careers can only improve our own standing in the world. Nonetheless, the tide is changing, and Europeans are starting to understand that fundraising is important. If we can make the case that their donation to an organization or to a school will make an impact and that it will touch more people, than people will be willing to donate. INSEAD was founded on the idea of rebuilding a war-torn Europe by bringing people together through business education. I feel that we have stayed true to our mission and that the funds we raise go to good causes, such as scholarships, thought leadership and new ventures. Our alumni understand that for the school to compete with peer schools and to promote our mission, it is important for them to support INSEAD. You are American and Lithuanian and have been living in France for 9 years. Where do you feel at home and how important is the preservation of one’s cultural origins for you? Being an American, Lithuanian and living in France, I truly feel at home at a global institution such as INSEAD. In fact it makes me think of my children, who are third culture kids and whom I wish to raise as global citizens of the world. I believe that language is key to preserving one’s cultural identity, and that it is the greatest gift you can give to your children. INSEAD’s flagship MBA programme has a policy that no more than 10-12% of the class is represented by any one nationality, which makes diversity part of INSEAD’s DNA. Diversity adds value to the conversations and the decision-making process, which is often lacking in corporate boards. I believe that being inclusive, diverse and gender-balanced is of utmost importance for INSEAD, which is also why our gender initiative, in which men are also involved, can make a big difference in management education. Could the Blockchain, the technology underpinning digital currencies like Bitcoin, transform how our economies work and foster financial inclusion and gender equality? WIL had the pleasure to interview WIL Board Member Marina Niforos on this topic. 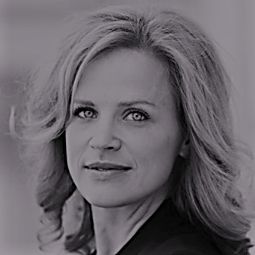 Marina is the founder and Principal of Logos Global Advisors, a strategic advisory firm to high-growth startups and large multinationals and a recognized expert, author and speaker on economic competitiveness and digital transformation. Recently, her whitepaper series the impact of blockchain were compiled in a special International Finance Corporation (IFC) Report, Blockchain: Opportunities for Private Enterprises in Emerging Markets, that has been distributed in the context of the World Bank’s Annual Meetings. If you had to explain Blockchain to a total newcomer, what is the most exciting thing about it? Blockchain is an emerging technology that offers the possibility of re-engineering economic models and enabling the creation of markets and products that were previously unavailable or unprofitable across emerging markets. Blockchain is a database ledger that functions like a distributed network. It is often referred to as a distributed ledger that can register blocks of cryptographically-secure, tamper-proof data with members of a network. This unique structure offers near-frictionless cooperation between these entities, allowing them to transfer value or information without need of a central authority or intermediary. Its potential to deliver a new mechanism of ‘trust’ and to significantly limit transaction costs offers great promise for leveraging the technology to boost economic development in emerging markets. Evangelists call it a digital revolution and sceptics dismiss it as a combination of existing technologies with exaggerated potential. Despite its detractors, venture capital flowing into blockchain companies hit $544 million last year, according to KPMG. "Blockchain is an emerging technology that offers the possibility of re-engineering economic models and enabling the creation of markets and products that were previously unavailable or unprofitable across emerging markets." Blockchain’s ability to send blocks of cryptographically-secured, tamper-proof data through a decentralized network provides a scalable, secure system that can be applied to all kinds of transactions. The technology can help identify, authenticate, and track goods moving across different countries and modes of transportation. Ethereum — a second-generation blockchain — provides a programmable blockchain platform with ‘smart contracts’ that can be used in numerous scenarios, including the transfer of property titles, settlement of financial derivatives, shipment of goods, and payment of royalties to artists. Does it hold a potential to transform the economy and can we speak about the second generation of internet? Which industries will benefit most from it and what challenges does Blockchain still needs to overcome to become a mainstream technology? Blockchain holds enormous potential to transform our economy. What the Internet did for the exchange of information, Blockchain can do for the exchange of value, eliminating the need for a trusted third party to authenticate and validate transactions and thereby significantly disrupting existing business models. It has the potential to deliver productivity gains to multiple industries, from the financial sector to energy markets, supply chains, health care, intellectual property management, the public sector, and beyond. "Emerging markets may prove to be ideal for the adoption of blockchain-based financial solutions due to their underserved populations, higher banking risks, lower bank penetration and legacy systems, and greater presence of digital financing." The financial services industry has been an early experimenter on and adopter of blockchain technology. Financial institutions around the world find their business models continually tested by technological innovation. The emergence of innovative digital financial technologies (fintech), including blockchain, is challenging traditional players in the sector by demonstrating new ways to deliver value across the entire financial value chain. And emerging markets may prove to be ideal for the adoption of blockchain-based financial solutions due to their underserved populations, higher banking risks, lower bank penetration and legacy systems, and greater presence of digital financing. The convergence of these factors may provide the basis for a faster adoption of the technology and could result in a technological leapfrog that boosts financial inclusion and growth. The technology is in early stages of development and will need to overcome serious challenges and risks, both technical and regulatory, before it achieves widespread adoption. Questions remain about blockchain’s scalability, interoperability, security, transition costs, data privacy, and governance. We are at the beginning of this experiment and the road to maturity is likely to create both winners and losers before sustainable and profitable business models can emerge and full network effects can be seen. Companies and regulators will need to strike a balance between allowing enough space for the innovation ecosystem to flourish, while also effectively managing the associated risks and costs. Companies—in emerging markets and elsewhere—can neither afford to wait until the outcome is evident nor expose their existing business models to overly risky wholescale blockchain initiatives. Instead, they will need to adopt an experimental approach that allows them to develop options and thereby learn in the process, inform their strategies, and improve their value propositions. In your final white paper, you make the case about Blockchain being the technology of inclusion. How can it address the barriers to gender equality? Blockchain can also be used beyond fintech for a more sustainable and inclusive management of global supply chains. Two critical attributes of the blockchain in particular—the reduction of agency costs and auditable traceability—may help to boost trade facilitation as well as ensure compliance with specific goals regarding sustainability and gender inclusion. Two supply chains where specific experimentation with blockchain is taking place are food and agribusiness, and pharmaceutical safety. "Two critical attributes of the blockchain in particular—the reduction of agency costs and auditable traceability—may help to boost trade facilitation as well as ensure compliance with specific goals regarding sustainability and gender inclusion." Blockchain offers the potential to address some of the barriers to women’s inclusion in global value chains and their economic empowerment, both as individuals and as business owners. It could provide a cost efficient digital identity, which can help overcome women’s comparatively low access to formal identification and offer an entry to formal roles and remuneration in supply chains. It could also help women establish ownership of disputed land titles. Additionally, it could promote financial inclusion by helping women establish credit scores through alternative credit data sources, bypassing traditional intermediaries and banks. Finally, blockchain’s auditability and traceability can provide a tool for the monitoring and enforcement of supplier inclusion and gender empowerment initiatives that are currently difficult to monitor and enforce. Investors and credit agencies are now paying greater attention to non-financial performance issues, including human rights and gender equality. While blockchain technology alone is not sufficient to address the cultural and structural issues underlying the challenge of gender equality, it does present a strong toolkit to tackle significant facets of the issue. The potential benefits of even marginal change can be significant for both the private sector and entire economies. 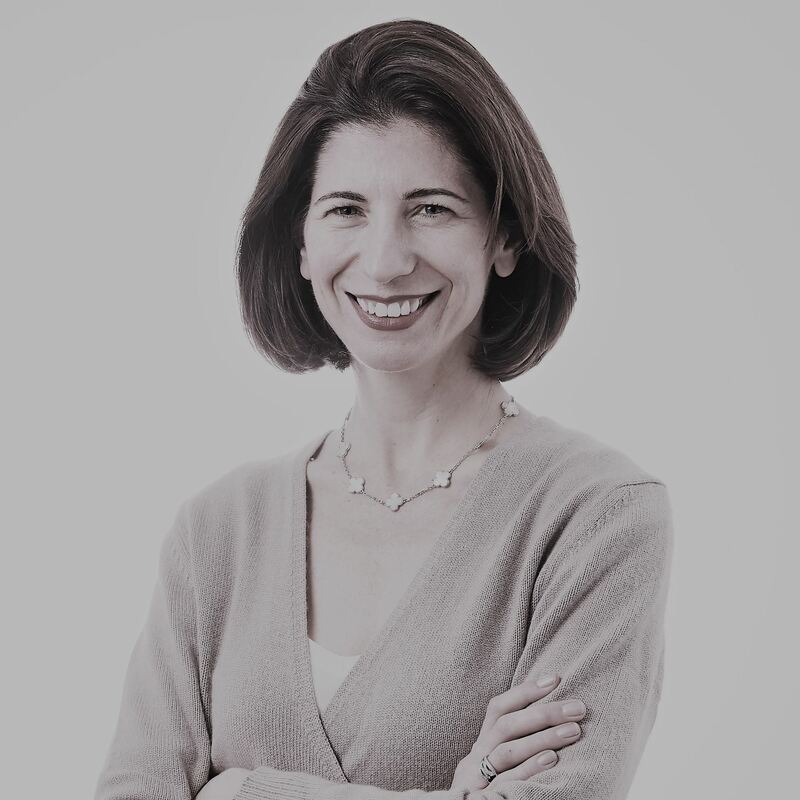 Only a few years after participating in our Women Talent Pool (WTP) program, Ariane Gorin converted the try and is now the President of Expedia Partner Solutions. 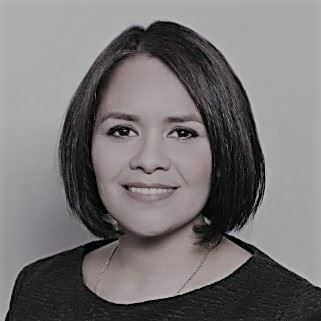 * When she participated in our WTP program in 2012, she was Director of the Office Product Division for Microsoft France, after having learned the ropes in the United States, first at Goldman Sachs and then at the Boston Consulting Group. 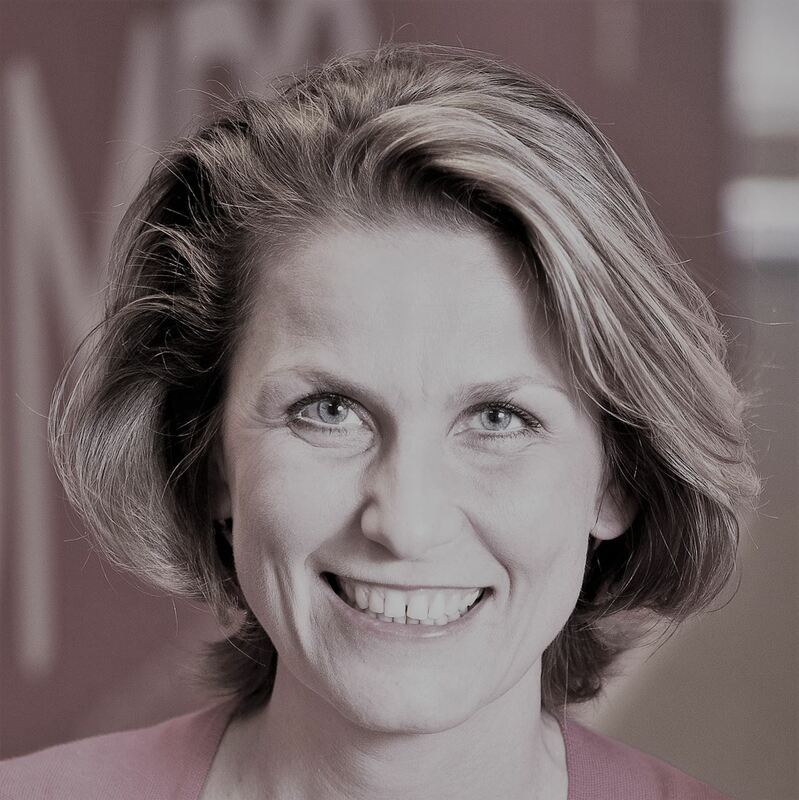 She has broad international experience in sales, as well as in marketing and strategy and is also member of the Advisory Board of the Royal Philharmonic Orchestra and member of the Board of Directors of Adecco. We are very proud to welcome her among our members, and on this occasion, to have the opportunity to learn more about her already impressive career and her insight on what it takes to become a successful leader! * The interview took place in September 2017, before the appointment of Ariane Gorin as the President of Expedia Partner Solutions in December 2017. Since 2014, you have been the Senior Vice-President and General Manager of the Expedia Affiliate Network brand. Can you tell us more about your current role and in which ways it fulfills your ambitions? Expedia is a global travel and technology company, and Expedia Affiliate Network (EAN) is our global B2B partnership brand, powering the hotel business of hundreds of partners worldwide such as airlines, online travel agencies and corporate travel companies, Through EAN, millions of travelers are able to find the perfect hotels for their trips. At our core, we are a technology business, with the bulk of our business done through our APIs (Application Program Interface). As leader of EAN, I am accountable for the end-to-end results of the division. I recently read an article in which senior female executives explained that their careers accelerated the most when they were accountable for a number and that’s what I’ve experienced. It’s a great feeling to point to the numbers, whether they are financial results or employee engagement survey data and know that I’ve accomplished this with my team. What brings me the most joy in my job, though, is seeing my team accomplish goals they’d initially viewed as out of reach, as well as seeing individuals develop themselves in new and unexpected ways. You moved from the USA to France and then to the UK; from Microsoft EMEA to Microsoft France and then to Expedia; from marketing to sales and now general management. Do you think that getting out of your comfort zone has been key to your professional success? Absolutely. Whether it was changing geographies or going from strategy to sales to marketing, getting a lot of different experiences helped me become more confident, make better decisions, get more comfortable taking risks and ultimately be a better leader. Getting out of your comfort zone early in your career allows you to absorb and learn from different experiences, failures and successes that you can then use later. When I took on my first sales role, leading distribution sales for Microsoft France, I wasn’t sure I could run a sales unit, as my experience had always been in strategy and marketing roles. However, I proved to myself and to other people that I could quickly learn the distribution landscape, build win-win partner relationships and manage an experienced sales team. The learnings from that first sales experience still serve me today. Getting out of your comfort zone early in your career allows you to absorb and learn from different experiences, failures and successes that you can then use later. Do you think that women can sometimes censor themselves? For example, they may think that they are not ready for a promotion, or do not have the adequate skills. Regarding this matter and based on your personal experience, what would be your advice to negotiate a promotion? Studies have shown that women apply for a promotion only when they meet 100 percent of the qualifications, while men apply when they meet just 50 percent. This would suggest that women tend to be less confident in their abilities than men. This is mirrored in my personal experience. Five or six years ago, when I was at Microsoft, a role that I was interested in became available but I thought that I wasn’t ready yet so I didn’t raise my hand. Not surprisingly, I didn’t get the job, while the person who did get the job wasn’t any more qualified than I was, but he raised his hand and asked for it. I was disappointed and even mad at myself. After that, I promised myself to always raise my hand for opportunities, even if I feel like I may not be qualified enough. It helps to have mentors and support networks that can help women get over any lack of confidence and to go for stretch opportunities. The advice that I would give to young women is the following: get out of your comfort zone, trust your instincts and most importantly, go where there is growth. In 2012, you participated in our Women Talent Pool program aimed at supporting high potential women to become leaders, and as Senior Vice President of Expedia Affiliate Network brand, no one can deny that you have become one! What would be your key advice for young women eager to develop their leadership skills? 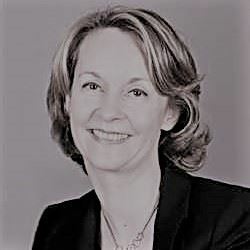 I remember one of the WTP events I went to at the French Sénat, with Delphine Arnault (Assistant General Manager of Vuitton since 2003): the participants, all of them women in high-level positions, were very impressive and shared valuable advice which has helped me and inspired me. I thought that one day I wanted to be able to give back in the same way and share my own experiences. Getting to be on talent pools and in contact with such role models certainly contributed to my taking more risks and bigger roles, and I find it gratifying to now be part of the network. The advice that I would give to young women is the following: get out of your comfort zone, trust your instincts and most importantly, go where there is growth. There will naturally be more opportunities – and more excitement – in an industry that is growing well. Finally, surround yourself with a support network of family, friend and mentors. I love the concept of a “posse” – a group of peers who support each other. How would you describe yourself as a manager? What do you think are the key competences for leading a team successfully ? It’s important to tell your team where you want them to go, not how to get there. Nothing demotivates a team like micro-management - this is a sure recipe for disengagement. It’s also important to ensure people on your team invest in their own development – whether through stretch assignments, classroom training or mentoring. Finally, being a great manager is also about focusing on team dynamics – making sure that you have a balanced and diverse team, that the environment is such that everyone can contribute equally and that the team trusts each other. With my teams, we talk a lot about assuming positive intent, not judging each other, but rather creating a safe and supportive environment for risk-taking. You worked both in France and in the US. Which differences did you notice in the workplace regarding the status of women? Where is it more difficult to manage both work and professional life? Compared to many of my friends in the USA, I found managing work while building a family easier in France than in the USA - whether it is paid maternity leave, childcare or health care - the infrastructure is much more developed in France than in the US. Fortunately, many companies in the US are catching up, but in France, I found that society at large – and not just employers - place a strong value on allowing women to be parents while continuing to thrive professionally. On the other hand, when I moved to France 15 years ago, I remember networks of women professionals were just beginning to emerge, unlike the US where a strong women-centric networking culture already existed. Since then, networks for professional women have developed a lot, whether through WIL or other organizations. In 2016, you stated in an interview that 33.3% of Expedia’s leadership roles are held by women ; in which way does Expedia promote inclusion? Which politics are they implementing in order to have more female Executives? Like many companies in the tech sector, women are under-represented in leadership roles and acknowledging that gap is the first step. At Expedia, we believe that having a balanced workforce leads to better business outcomes. We firmly believe that the conversation about inclusion needs to be one across all managers, male and female, to make an impact within the organization. In June, we released data specific to gender representation noting that we have parity across pay and representation at Expedia, but where we see the drop-off in gender representation parity is at the senior leadership level. As part of this, we are working to educate our workforce and are doing things like offering micro-inequities training to all managers to help identify areas of unconscious bias that may be present. At Expedia, we believe that having a balanced workforce leads to better business outcomes. We are on a journey toward gender balance and like everything at Expedia, we will follow our “test and learn” philosophy to find the right path. Test & learn follows a real scientific approach where we ask a question, collect the observation, construct a hypothesis, test that out as quickly as possible, then analyze the learning and repeat on that. The methodology makes sure our decision-making is verified by real data & insights, and we will utilize this approach to identify the most effective approaches to achieve true gender balance across our organization. We are always glad to keep up with our members and follow their career development. In this regard, we had the opportunity to interview Ourania Ekaterinari, one of our committed Greek members. 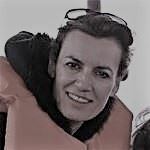 Since we last interviewed her in 2013, Ourania's career led her to new paths: she became partner at EY, and more recently CEO and Member of the Board of Directors of the Hellenic Corporation of Assets and Participation (HCAP), a holding company aiming at grouping and managing a wide array of Greek State owned assets and participations. In this interview, Ourania shares with us valuable insights on the current and future state of the Greek economy and on the role of the HCAP Fund for the country. I believe we can create a strong investment story at a time that many investors are looking to invest capital. Almost 10 years after the Greek recession has plunged the country into an unprecedented crisis, what is your vision of the current and future state of the Greek economy? Greece has been at the international spotlights for a long time. As you said, it has gone through a very difficult period for many years, with huge fiscal adjustment programs and a GDP decline that has not been witnessed anywhere else in Europe since the World War II. Today the country is clearly at a turning point. The challenge Greece is facing today is to attract long term investors for which one has to create a stable economic and business environment, build in trust and common interest. Greece’s road to recovery passes also through the implementation of long required and necessary reforms. Very important is also the successful implementation of the privatization program. At the same time, many Greek companies have proven how resilient they are and already done most of the required internal changes, while focused on careful cash flow management, at times when access to funding was scarce and expensive. They improved their operations, promoted efficiencies and overall became more extrovert and competitive. Combining these gains with a rich human capital, the excellent climate conditions, the improving infrastructure and geographical location, as well as the fact that Greece shares all European values and principles, I believe we can create a strong investment story at a time that many investors are looking to invest capital. The Hellenic Corporation of Assets and Participation (HCAP) was founded in May 2016 as part of the Greek government’s new investment policy. Can you tell us more about its vision and its mission as well as its main objectives? The Hellenic Corporation of Assets and Participations (“HCAP”) is a newly established holding company, operating in accordance with the rules of the private economy, in an independent manner, but for the benefit of the public interest. Its long-term vision is to enhance the value and improve the performance of the assets under its management, by assessing and promoting the right strategies for asset exploitation and by targeting operational efficiencies. HCAP will also promote reforms of public undertakings, through restructuring if required, good corporate governance and transparency and by fostering accountable administration, social responsibility and innovation. The ultimate goal of HCAP is to manage and exploit such assets to generate resources to contribute to the implementation of Greece’s investment strategy, as well as to the reduction of the sovereign debt of the Hellenic Republic. - The Hellenic Republic Asset Development Fund (“HRADF”), being responsible for the implementation of the Greek privatization program. - The Public Property Company (“PPCo” OR “ETAD”), being responsible for the management and exploitation of a large and diverse real estate portfolio that has come under its possession from the Greek State. - The Public Holdings Company (“EDIS”), currently under establishment, which will practically hold the State’s shareholdings in different SOEs across different sectors. How does the Corporation guarantee its independence and full transparency rightly expected from such a fund? The Board of Directors of HCAP has been selected by the Supervisory Board, following an open international selection process, which was also supported by reputable international expert advisors. HCAP board members are professionals with long and successful careers abroad and in Greece, in large organizations and across different functions and sectors. Thus, the Board of HCAP has the breadth of experience and skills to carry out this mission and to act in an independent and professional manner, following best practices. This will be the aim for the Boards’ composition and the management of the subsidiaries of HCAP too. How does it also guarantee its ambition to proceed according to a long-term perspective in the achievement of results? Within the most important objectives of HCAP is the transformation of the public sector, including the introduction of a new culture and mindset. It is necessary to build a new environment of trust, commitment and accountability, by setting a common framework of corporate governance rules that enhance transparency, by empowering people and by fostering dialogue and communication. Change is usually not easy but it is the only way forward for sustainable growth, taking into account all stakeholders’ interests and supporting a more inclusive economy. Within the most important objectives of HCAP is the transformation of the public sector, including the introduction of a new culture and mindset. Which other guidelines will be followed by the fund when it comes to reforming public undertakings? The Public Holdings Company (“EDIS”), which is one of the direct subsidiaries (currently under establishment) of HCAP, is responsible for a number of state-owned companies. It aims to introduce international corporate governance practices, appropriate financial planning and monitoring, operational efficiencies and a new corporate culture. For the public undertakings that are offering services of general economic interest, these will have to be provided in accordance with EU law and the Union’s common values. This will require introduction of mechanisms that will define and monitor objectives, functional targets and performance indicators so that targets are met and the general interest is adequately served. Furthermore, some of the public undertakings, facing different and pressing challenges such as economic, liquidity, funding, regulatory, technological, etc., will need to implement reforms, by taking all the appropriate actions to safeguard their sustainability, to optimize the use of resources and to adapt or restructure their business and operating models. To this end, good strategic and business planning, budgeting and reporting will drive efficiencies and create long term value for their shareholders. Last but not least, what made you accept such a challenge and how do you think your previous professional experiences will help you fulfil your new role? Without a doubt, it is a huge personal challenge but this is what makes the role attractive. With commitment, persistence, team work and by articulating a clear vision, I will dedicate every bit of my energy, knowledge and experience to succeed, especially since this is a mission of very high importance for the country. I feel quite confident that my past professional experience will be very helpful to carry out what is required, having worked both in Greece but also internationally; also having worked for large organizations in the private sector as well as in the public & utilities sector. I believe I understand the challenges companies are facing today, not only in Greece but also in Europe, including issues of competitiveness, access to capital, digital disruption, changing customer needs, and many more. I will dedicate every bit of my energy, knowledge and experience to succeed, especially since this is a mission of very high importance for the country. In Greece, problems have been more harsh, particularly when it comes to liquidity and managing cashflows, in an environment where access to funding has been scarce. I believe there is great potential for improvements in the operating, technological and business model of many Greek companies. In the public sector, space for improvement is even bigger, where traditionally there was more resilience to change. Modern times require change, not only for the benefit of the shareholders, but also for the benefit of the consumers by offering better services at competitive cost, for the environment by optimizing the use of resources, and overall for the benefit of the economy and the society by promoting sustainable investments and supporting economic growth, together with accountable management and best corporate governance practices. “Champion of women”, “food guru” and “inspirational entrepreneur” are just some of the terms used to describe the successful Pinky Lilani. Founder and Chair of a number of awards recognizing influential women and leaders, such as the Asian Women of Achievement Awards and the Women of the Future Award, and patron of several charities, Pinky started her career as an Indian cookery specialist. Not only did she manage to successfully run a rich and diverse career, but she did so with a pinch of passion and a large dose of generosity. WIL Europe had the chance of interviewing her and we hope this article will spice up your day! You started your career as an Indian cookery specialist, which led you to become a prominent consultant for major food companies in Europe, and you published your first book in 2011 (“Spice Magic: An Indian Culinary Adventure”) . But already in 1999, you had founded your first Awards to celebrate women’s accomplishments: the Asian Women Achievement Awards. What made you realize the importance of promoting women’s achievements in our society? There were a lot of stereotypes about Asian women: everybody thought that they just stayed at home and cooked for their husbands. On the contrary, all the women I met were very spirited and with a lot of energy and huge ambitions. I really thought that we needed to profile them and show to everybody that they were doing amazing things. Thanks to your experience as a founder of various awards, you had the opportunity to see different promotions of talented women, with very diverse profiles and professional backgrounds. What makes a good role model according to you? Has it changed over the years? I set up the Asian Women of Achievement Awards for Asian women, and then the Women of the Future Awards for women of all backgrounds (they just have to be under 35, since the program is targeting emerging leaders). The role models in those two different categories were different but also had a lot of similarities. Role models must be very good at what they do, and be passionate, but they must also care about other people. People are looking for role models with integrity, who share their values and are authentic. They must also be actually shining in the area where they are working, but also breaking barriers and boundaries that other people thought unbreakable. Did you have any role model? To be honest, when I was young and was growing up in India, I didn’t think that I would ever work. Even though I finished my degree and my post graduate, I didn’t have huge ambitions to be a career woman. None of the women in our family worked. I thought that I would be like my mother who was a very hospitable person, had a lot of dinners and lunch parties and was involved in charity committees. My role models were people like my mother, homemakers. What gave you the incentive to work? Why did you want to change this pattern in your family? I love meeting people and through the work I was doing, I was meeting very interesting people. Then once I began working, new challenges came and triggered my curiosity. I was energized and I started looking at new areas where I would be able to make some kind of contribution. That’s how I really began working. In the course of your career, you had the opportunity to embrace diverse sectors, from the business sector as a cookery specialist and owner of Spice Ltd to the creation of awards programs, not mentioning the charity sector. Why is it important for women to step out of their comfort zone and take up new challenges? For me, that’s the only way to succeed in life and find it fulfilling. Life is about learning and adding value. If you never take risks, you will never experience new things and meet different people. I met people from various sectors (business, social media, charity …) because I got involved in those different areas. By working with people, you learn about how to collaborate and you learn from them. The more diverse and different from you they are, the more you learn and the more you give. We all have certain qualities and by working with others, you learn about qualities you don’t have and you share your experiences and knowledge with others. In 2007, you founded the Women of the Future Network, providing an opportunity for talented women to come together, share experiences and build business relationships. What would you say to women who find networking challenging, either by shyness and fear of seeking favor or because their agenda is already quite tight? For people who are uncomfortable with networking, my advice is the following: don’t call it networking, just call it going out and meeting people! Networking is not at all about seeking favor and promoting oneself but about building relationships and reaching something better than what you can do on your own. I could not have succeeded without the help of others. It is very important in terms of business and personal growth because the more different people you meet, the more you learn. Mark Granovetter, a famous professor at Stanford, CA, who wrote a paper named “The Strength of Weak Ties”(1973), once gave this advice: for everything in life, actually go your weak tie and not your strong tie, in order to learn and get new ideas. According to you, being successful is all about “kindness and collaboration”, which you consider to be a “powerful tool”. How can it work in a society where competition and individualism have often become the rule? According to me, it is absolutely a win-win: people never forget if you have been kind to them, even if they are very hard people. At the end of his life, the philosopher Aldous Huxley said that the key for being successful in life is “being more kind”. When you are kind to people, they want to repay you immediately and to help you. On the other hand, nobody wants to work with people who have values which they don’t share. If somebody is rude to you, you’d rather go to someone who is thinking about collaboration and working together. It works for me as a model so I am very confident about it. So, all in all, what would be the three main ingredients in your recipe for success? First of all, I think you have to be passionate about what you do and believe in it because if you don’t have passion you cannot succeed. Collaboration is also very important: you need to have other people helping you, because in most cases success doesn’t come on its own. The third element is luck: you can be very clever and have an amazing network, if you don’t have luck you will not succeed. But it is also about timing: you have to be able to seize opportunities when they arise. Xenia Loizidou is the Co-Founder and Director of ISOTECH LTD, one of the leading environmental firm in Cyprus. 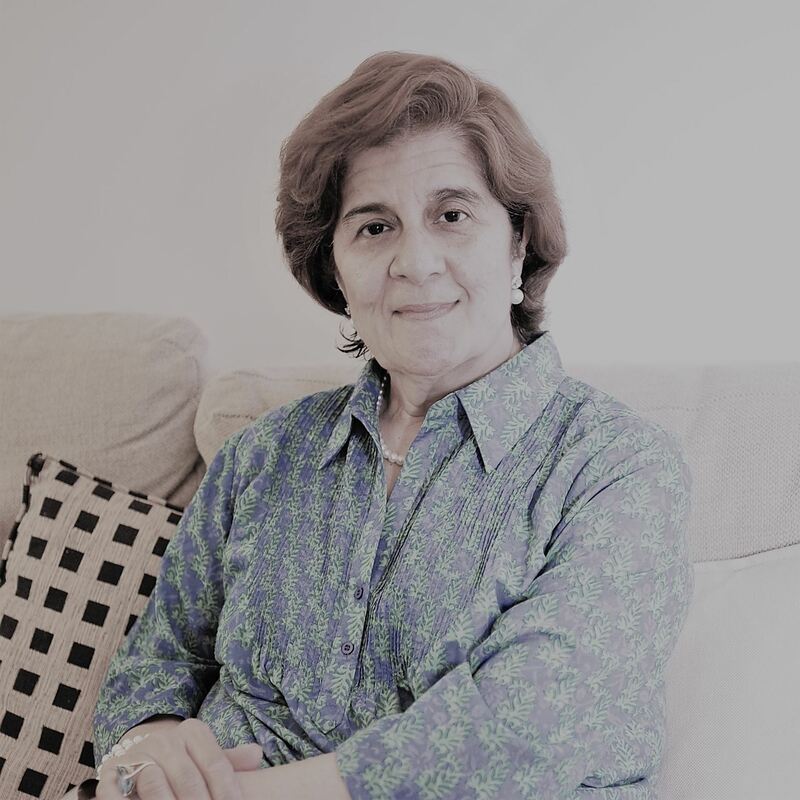 She is also a Member of the Board of Director of the Cyprus Tourism Organisation where her expertise as a Civil and Coastal Engineer helps preserving the coastline of this beautiful island. First of all, congratulations for the two awards you received recently the Sir Stelios Award for your work on incorporating environmental considerations in the Cyprus peacebuilding process and the International Award last may in New Delhi from the Women Economic Forum “for business and leadership, contributing to a better world”. How do you feel about it? Do you think it is some kind of achievement for all your work? Of course, I am very proud and very happy of these awards! I am always working in teams and I believe in the power of cooperation and team work. So, these awards are a reward for all of us, for so many years of collective hard work. You have been the cofounder and Director of ISOTECH Research and Consultancy for 25 years, what are the aspect of your work you’re the most passionate about? I am costal engineer. I studied civil engineering and costal engineering in my post graduate. I am passionate about the power of the sea I think sea and its waves are the most dynamic elements of our world. As engineer, I follow a solution-oriented approach in my work: provide solutions to problems and see them being implemented in for example in infrastructures, or for conservations issues. I think that I am blessed working in a field like this. What made you choose this field of study? Have you always been aware of the importance of protecting our environment? I was brought up in Pafos, a small coastal city in the island of Cyprus. Beautiful coastlines, pristine in those days. It had great weather, so almost all year round we were swimming. The sea and the coast were always my natural environment! When I eventually started studying civil engineering I found this post graduate specialization that allowed me to work in coastal environment and all the beauty outdoors. Have you seen a change in the mentality on the issue of preserving our natural sites? Do you think people are now more aware? Definitely yes ! I think public awareness, especially in Europe, has tremendously improved over the last 30 years. Nobody can deny those facts nowadays. We have seen improvement in the ozone layer, technology has turned into more greener solutions and education is now focusing more on those issues. However, at the same time, other technologies and other countries are developing in the other way, the non-sustainable way. For example, in Asia we have the mega-cities causing tremendous pollution and for many of them, environmental issues are not a priority. For them, combating poverty and the need of economic growth are stronger than implementing environmental standards. So, we see some improvements in Europe and some other developed countries but the world is big and several overpopulated countries have not listed environmental consideration among their priorities. Indeed, many people are afraid of the policies that President Trump will follow, and this will reflect on the budget that will be allocated for environmental protection, which is a very important issue. However, I am optimist per nature, so I would give some time to the new US government to adjust to reality and hope that their initial policies might change. I hope that environmental consideration will stay in the top priorities of the US administration. Will the EU have to take over a more important role in this matter? The European Union is a pioneer in environmental consideration, green technologies and policies. However, the EU has become very bureaucratic. There are a lot of areas where we are losing focus and giving too much importance to managerial issues and technicalities. I really believe that the EU should once again be the pioneer, take more initiatives, become less bureaucratic. Being a woman in science and especially in engineering, did you face more obstacles on your career path? Do you think mentalities are evolving on those issues? Of course, I did. Construction sites and those fields of expertise where I work are very male dominated. However, among engineers there is an embedded respect for each other, as colleagues. Actually, it is when I started participating in decision making boards that I encountered a lot of gender bias from my counterparts. I think mentalities are evolving with time but there is still a resistance from this male decision-making system, especially in the south of Europe. It is not very common among men to support women in the decision making process. There is progress, but, gender bias and prejudices are still strong. To improve that we need a change in the mentalities which will only come from a change in our education priorities, in the families and in the cultural environment in general. As in nature, a system needs biodiversity to be sustainable, in human systems we need diversity! So women must participate in decision-making in order to have sustainability in our human system. Looking back on your career, are there things you wished to have done differently? do you have some examples of mistakes you’ve made and would have dealt with differently now? I have made a lot of mistakes during my career! Βut what is important is to be able to stand up again, deal with the consequences of those mistakes and learn from them. I also think it is important during those moments to have a good supportive network of people around you People who trust, who love you, who can support you. People you can lean on, when you need it! What advices would you give to a young woman starting her career now and aspiring to leadership and high level positions? Young women should dare to take risks. They must not be discouraged by any obstacles, especially if it comes from gender bias that exists in our society. I would also advise them not adjust themselves to the male way of ruling, keep up with their own characteristics. They don’t need to become man-like to be powerful. What is the thing that you are the proudest of in your career? I feel very happy about my work and life balance. I am a mother of 2 children while I run my own international consulting company, and I have a career that I love and at the same time I do a lot of voluntary work. I am doing very interesting things in my professional life but at the same time I spend time with my family. At the end of the day it is something that I feel satisfied about, if not proud of. It is a false idea to say that women need to sacrifice family life for career. Balance and love are the key words and ….hard, hard work. Thank you for this so interesting interview. I believe that networks such as WIL are really important for promoting, in our societies, the culture of women in leadership, through the support of women-members and dissemination of role models. Very proud to be member of WIL-Europe.